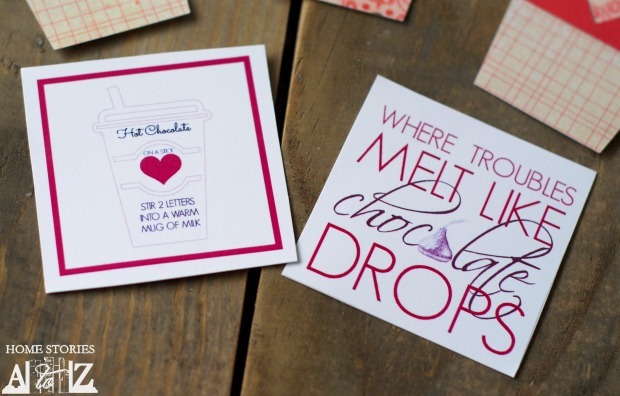 Who doesn’t love a sweet treat with a cute card for Valentine’s Day? 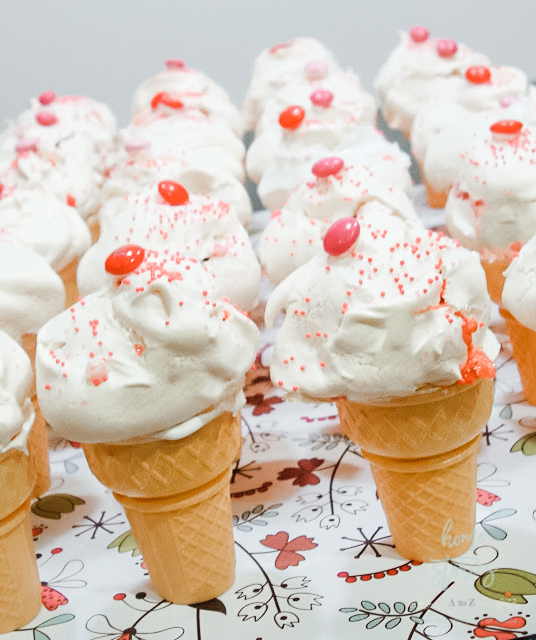 Here are twelve Valentine treat and card ideas for your kids’ Valentine’s Day Party! 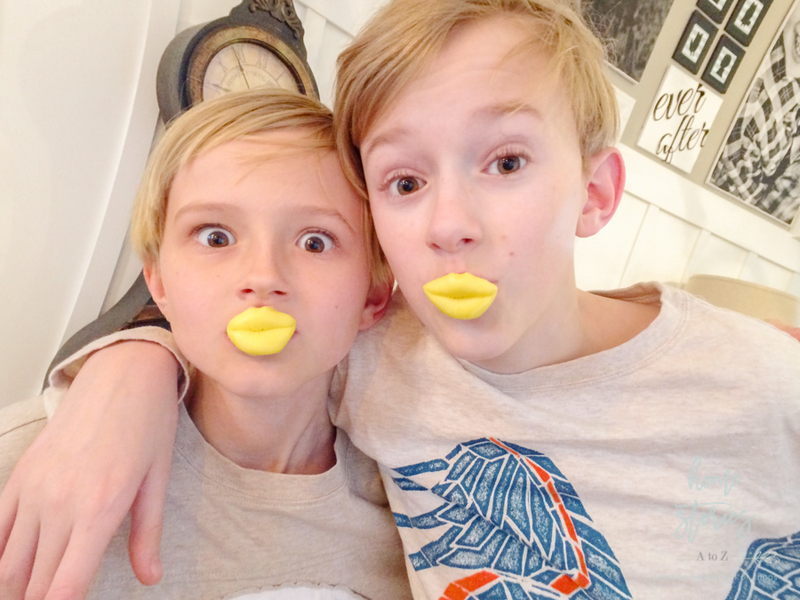 My boys are currently 14 and 12 and sadly class Valentines are now officially a thing of the past! I started this blog back in 2008 and over the years created many cute and original Valentine’s Day treats with free printables. I thought it would be fun to round-up twelve of my favorites for you! You’ll have to pardon some of my early photography and just take the cute ideas for what they are worth. Click on the blue/gray links of the items that interest you to be taken to the original tutorial, recipe, and printable. These were a big hit with the kids and so easy to make! 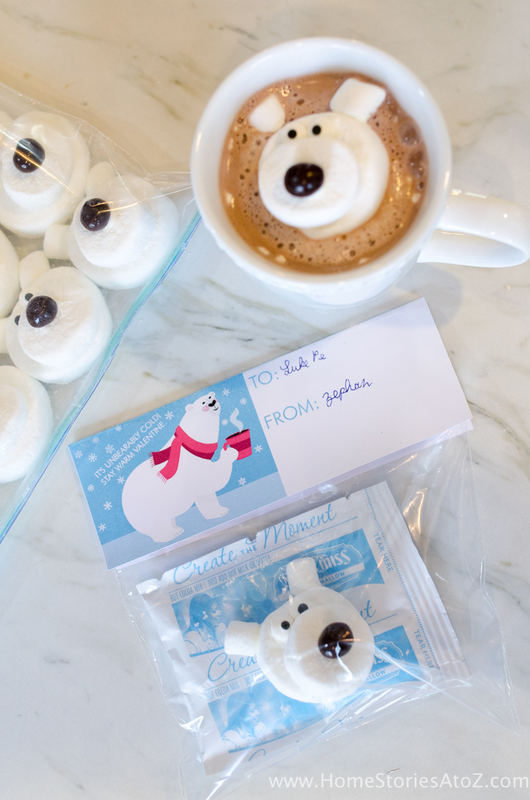 If you have older elementary aged children, they can help you make these adorable polar bear marshmallows. Rice Krispies Treats in the shape of a kiss? Yes please! 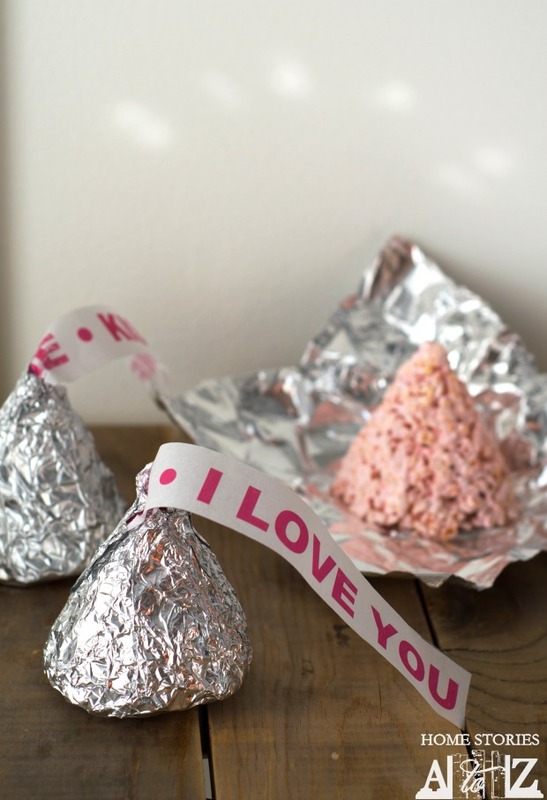 All you need to make these Valentines is your favorite rice krispie treat recipe and a small to medium sized funnel. I share the recipe that works best for these here along with all of the directions and the kiss printable. 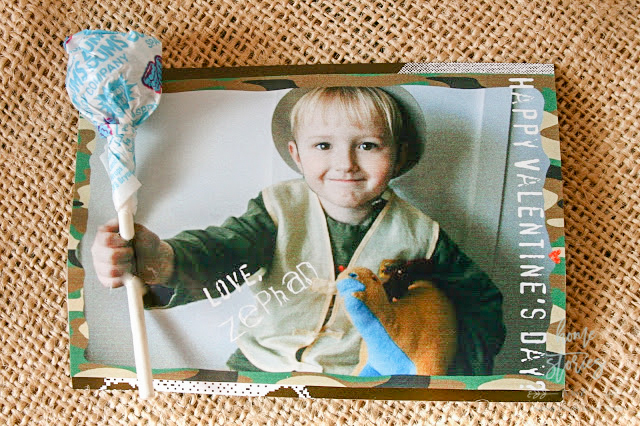 Click to see how easy it is to create these fun themed Valentines! 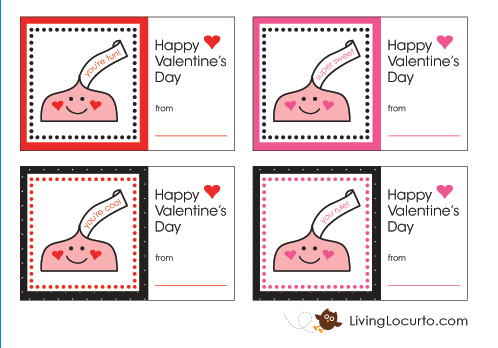 You can also pair this cute treat idea with this Valentine card printable found on Living Locurto! 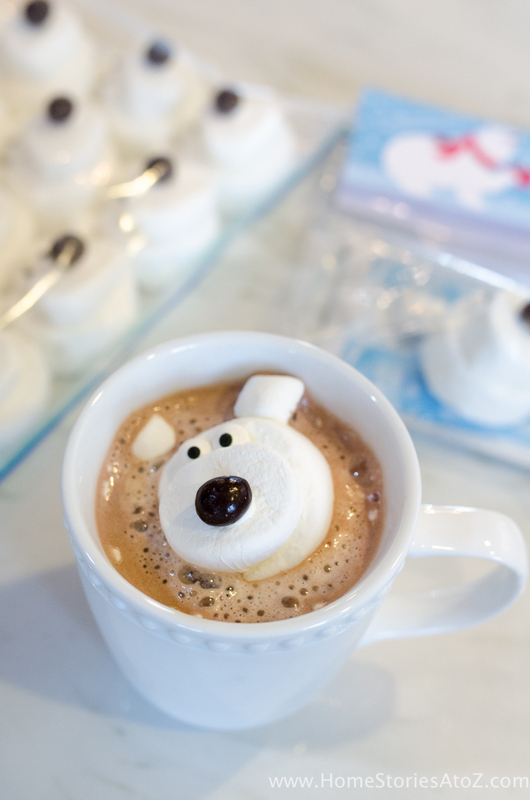 I seem to have a thing for hot chocolate and marshmallows during the winter. It must have been inspired by all of those cold years of surviving the harsh winters of Pennsylvania! 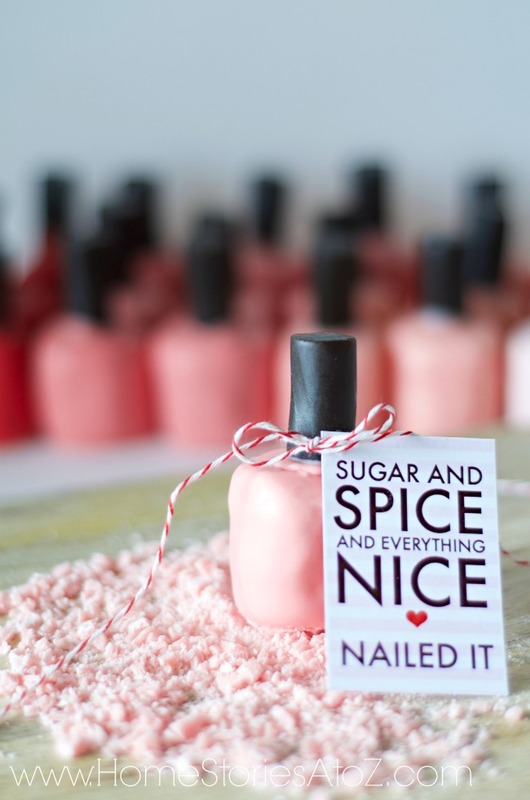 My Marshmallow Nail Polish Valentine is easier to make than you might think and is always a HUGE hit with little (and big) girls! 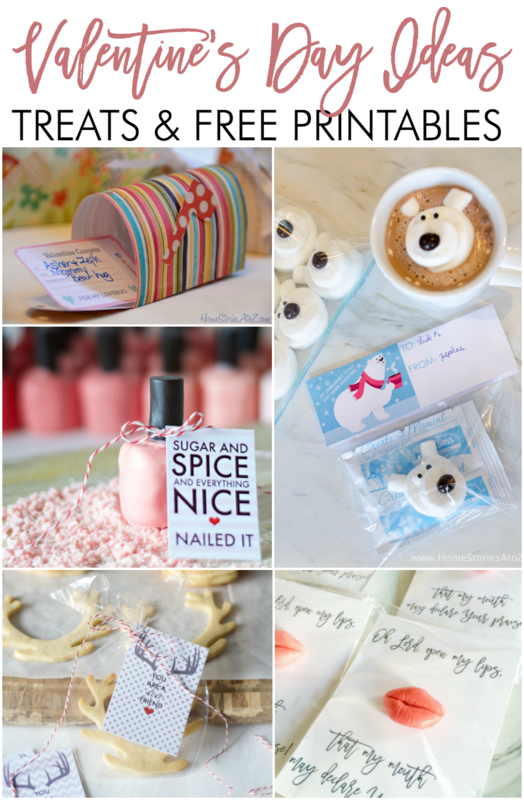 The free printable is included in the post for you! So cute! 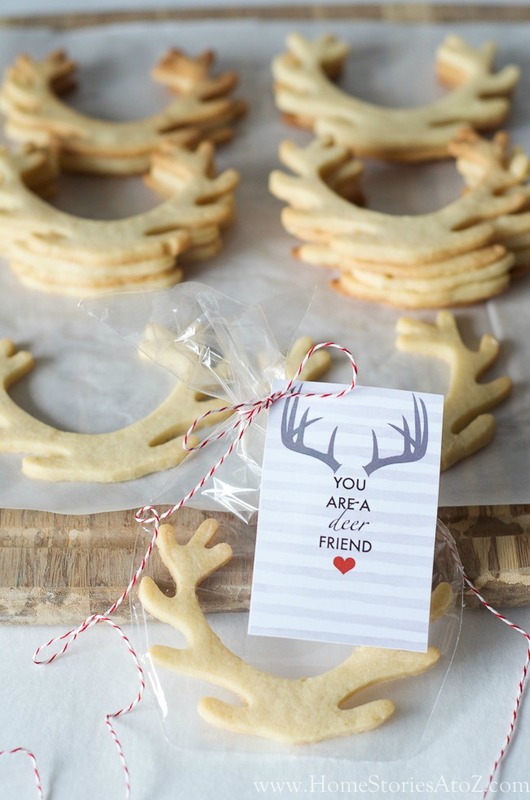 This post contains a fantastic sugar cookie recipe for cut out cookies that hold their shape! Be sure to chill the dough longer than recommended for best results. Cold dough is less sticky and easier to work with. The cute printable comes in a few colors and patterns for you! 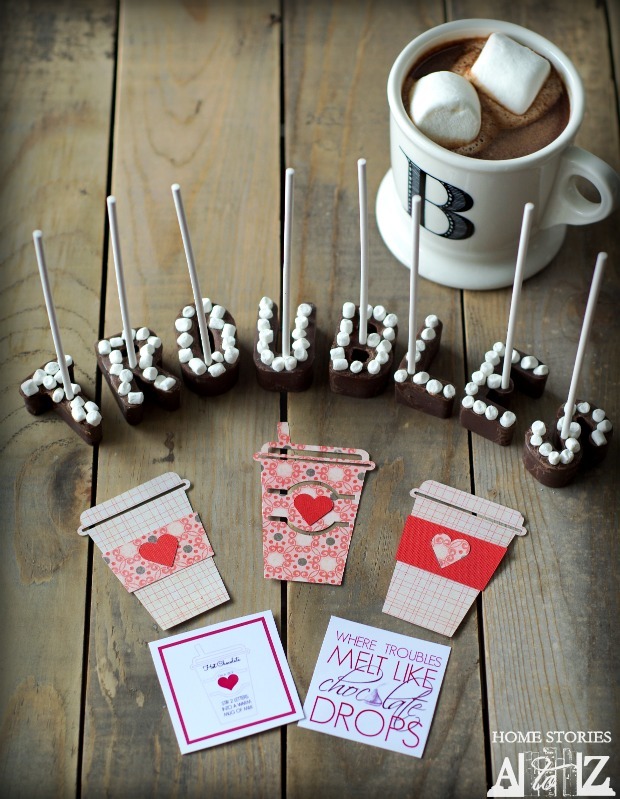 Let your Valentine melt their troubles away with these hot chocolate on a stick letters! For a different spin on this idea, customize the letters to spell your child’s initials or name. A digital cutter is a definitely an investment! 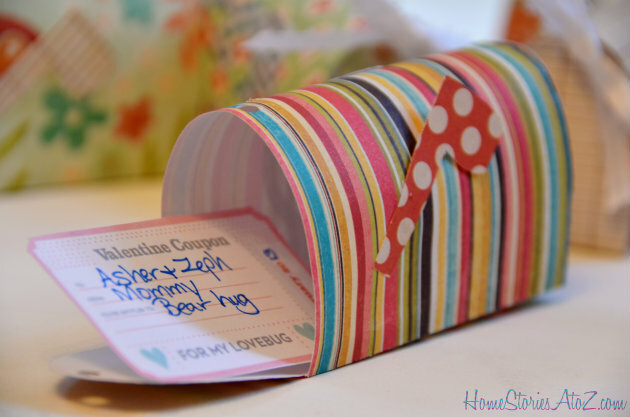 I have loved using mine over the years and this Valentine’s Mailbox Countdown was so much fun to create for the boys when they were little. A similar idea could be recreated with small mailboxes. An ice cream cone that won’t melt! The top of the cones is meringue. 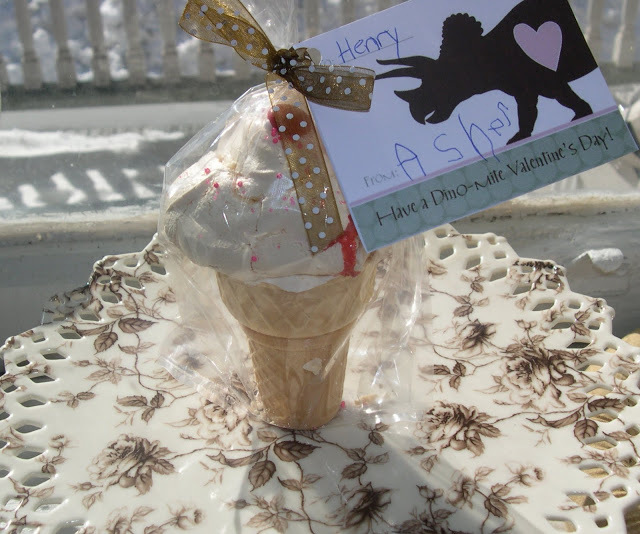 Fill the cone with cake, candy, or marshmallows and top it with a meringue. I made these treats for my oldest when he was in preschool and they were a big hit! Perhaps this is a “vintage” idea at this point, but it’s too adorable not to share! Take a picture of your Valentine pretending to hold an object and then print out the picture. Place a sucker, lightsaber (glow stick), pencil, pen, etc. as the treat in the hand. 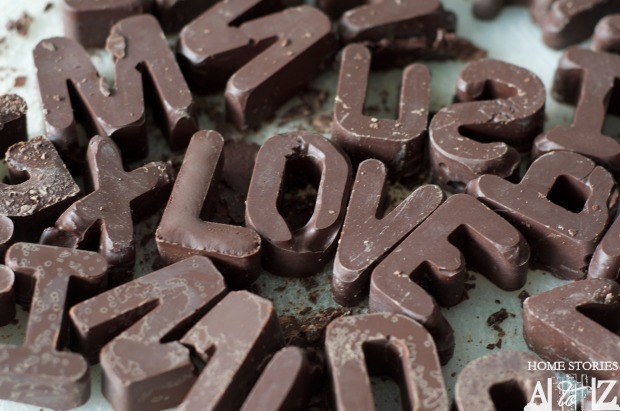 This is an easy DIY Valentine that is personal, thoughtful, and in my opinion classic! 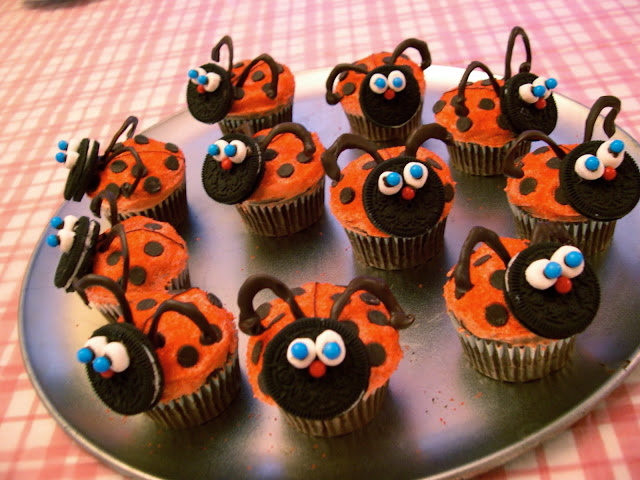 Even if you don’t consider yourself crafty, you can make these ladybug cupcakes! 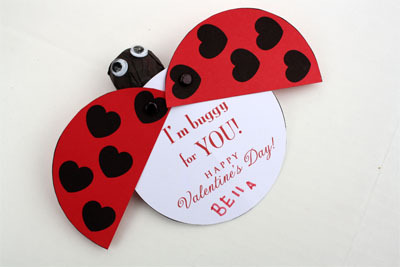 Pair these cute cupcakes with this free Ladybug Valentine printable by Skip to My Lou for a cute treat your little love bugs won’t forget! 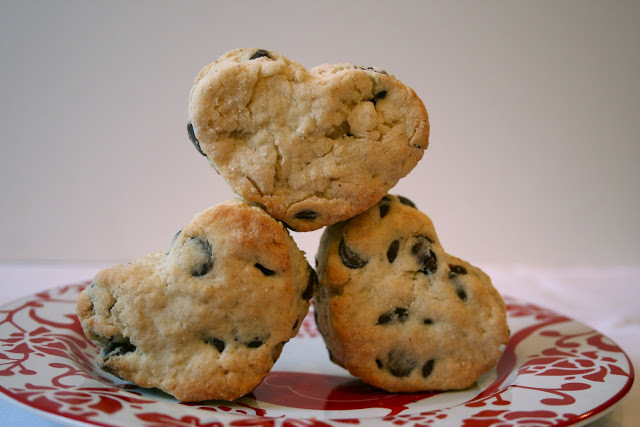 My favorite chocolate chip scone recipe of all time is in this post! The scones turn out delicious every time no matter what shape they are in. 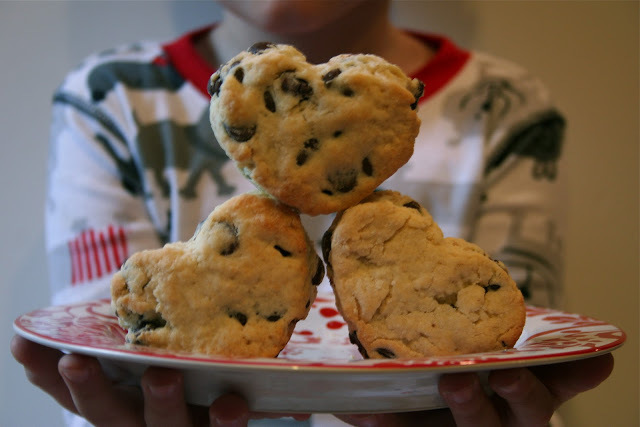 Place one heart scone in a cellophane bag and use this free “Treat for My Sweet” bag topper printable by Unoriginal Mom to complete your Valentine! 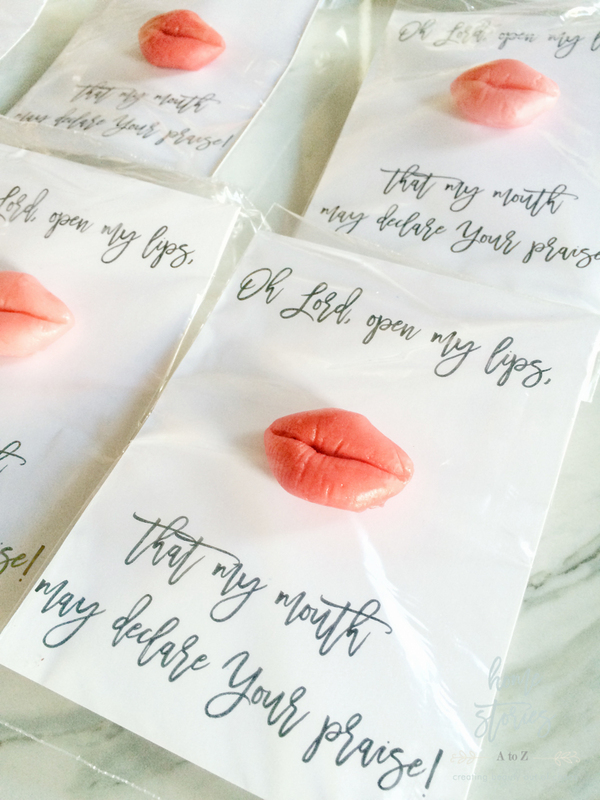 Apparently I never blogged these cute Starburst Lips Valentine cards. 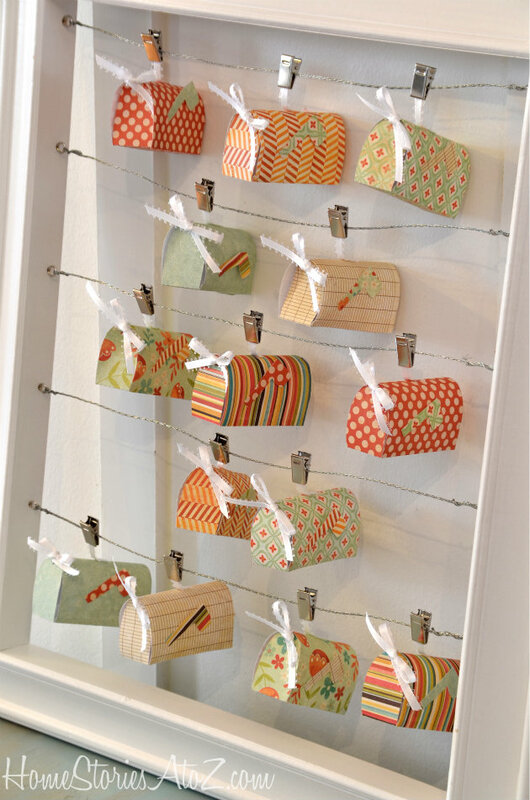 This idea comes from my bestie Kathleen at Grosgrain. 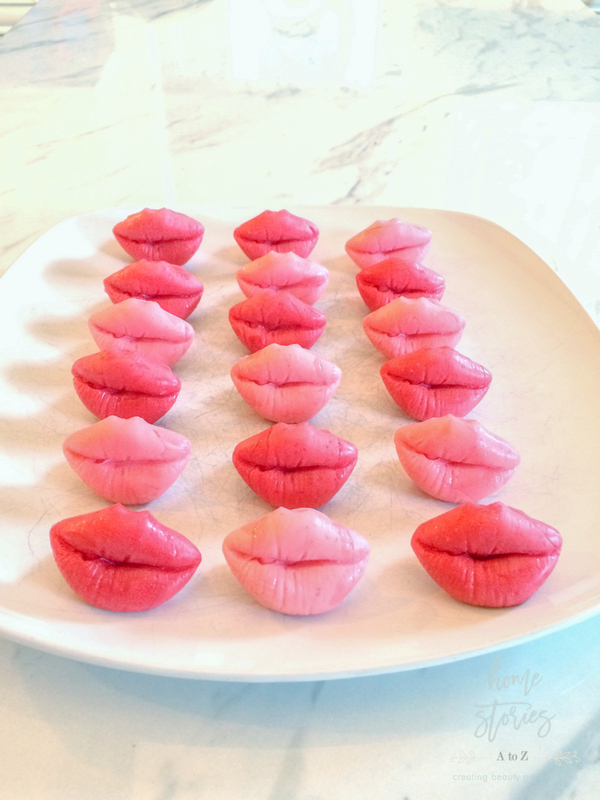 You can click over for her tutorial on how to make these easy Starburst lips! I made my own printable that was more acceptable for my kids’ private school but Kathleen has a cute one on her blog for you! Create button cookies or even a button cookie bouquet for your little Valentine! These cookies are easy to make, hold their shape, and can be sewn on a card with candy string! Pair your button cookies with this Cute as a Button Printable from Thirty Handmade Days.